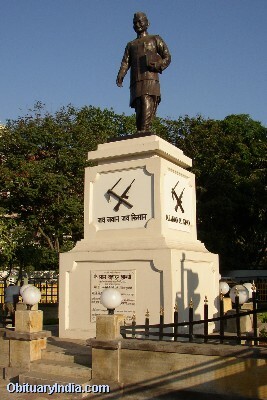 Played a leading role in Indian freedom struggle; became Parliamentary Secretary of Pandit Govind Vallabh Pant, then chief minister of Uttar Pradesh; became the Minister of Police and Transport in Pant's Cabinet; appointed as the Railways and Transport Minister in the Central Cabinet; also held the portfolios of Transport & Communications, Commerce and Industry, and Home Ministry in the Central cabinet; became Prime Minister of India in 1964; led India to victory over Pakistan in 1965 war. 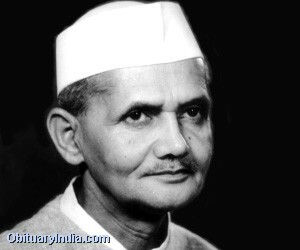 Lal Bahadur Shastri was the second Prime Minister of independent India. Though diminutive in physical stature he was a man of great courage and will. He successfully led country during the 1965 war with Pakistan. To mobilize the support of country during the war he coined the slogan of "Jai Jawan Jai Kisan". Lal Bahadur Sastri also played a key role in India's freedom struggle. He led his life with great simplicity and honesty and was a great source of inspiration for all the countrymen. There is a very famous incident regarding Lal Bahadur Shastri's childhood which took place when he was six years old. One day, while returning from school, Lal Bahadur and his friends went to an orchard that was on the way to home. Lal Bahadur Shastri was standing below while his friends climbed the trees to pluck mangoes. Meanwhile, the gardener came and caught hold of Lalbahadur Shastri. He scolded Lal Bahadur Shastri and started beating him. Lal Bahadur Shastri pleaded to gardener to leave him as he was orphan. Taking pity on Lal Bahadur, the gardener said, 'Because you are an orphan, it is all the more important that you must learn better behavior.' These words left a deep imprint on Lal Bahadur Shastri and he swore to behave better in the future. Lal Bahadur’s father died when he was only a year and a half old. His mother took him and his two sisters to her father's house and settled down there. Lal Bahadur stayed at his grandfather Hazari Lal's house till he was ten. By that time he had passed the sixth standard examination. He went to Varanasi for higher education. In 1921 when Mahatma Gandhi launched the non-cooperation movement against British Government, Lal Bahadur Shastri, was only seventeen years old. When Mahatma Gandhi gave a call to the youth to come out of Government schools and colleges, offices and courts and to sacrifice everything for the sake of freedom, Lal Bahadur came out of his school. Though his mother and relatives advised him not to do so, he was firm in his decision. Lal Bahadur was arrested during the Non-cooperation movement but as he was too young he was let off. After his release Lal Bahadur joined Kashi Vidya Peeth and for four years he studied philosophy. In 1926, Lal Bahadur earned the degree of 'Shastri' After leaving Kashi Vidya Peeth, Lal Bahadur Shastri joined 'The Servants of the People Society', which Lala Lajpat Rai had started in 1921. The aim of the Society was to train youths that were prepared to dedicate their lives in the service of the country. In 1927, Lal Bahadur Shastri married Lalitha Devi. The marriage ceremony was very simple and Shastriji took only a charkha (spinning wheel) and few yards of Khadi in dowry. In 1930, Gandhiji gave the call for Civil Disobedience Movement. Lal Bahadur Shastri joined the movement and encouraged people not to pay land revenue and taxes to the government. He was arrested and put in jail for two and a half years. 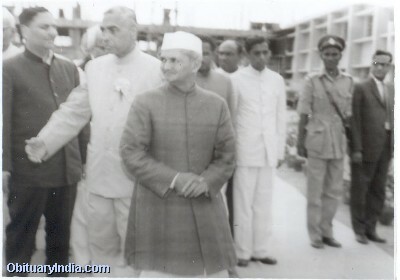 In jail Shastriji became familiar with the works of western philosophers, revolutionaries and social reformers. Lal Bahadur Shastri had great self respect. Once when he was in prison, one of his daughters fell seriously ill. The officers agreed to release him out for a short time but on condition that he should agree in writing not to take part in the freedom 'movement during this period. Lal Bahadur did not wish to participate in the freedom movement during his temporary release from prison; but he said that he would not give it in writing. He thought that it was against his self-respect to give it in writing. After Second World War started in 1939, Congress launched 'Individual Satyagraha' in 1940 to demand freedom. 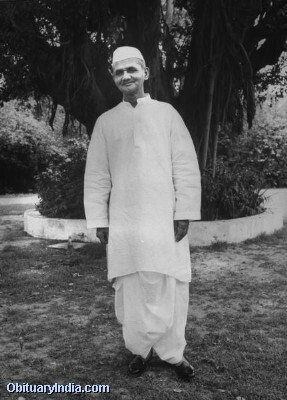 Lal Bahadur Shastri was arrested during Individual Satyagraha and released after one year. On August 8, 1942, Gandhiji gave the call for Quit India Movement. Lal Bahadur actively participated in the movement. He went underground but was later arrested. Lal Bahadur Shastri was released in 1945 along with other major leaders. He earned the praise of Pandit Govind Vallabh Pant by his hard work during the 1946 provincial elections. Lal Bahadur's administrative ability and organization skills came to the fore during this time. 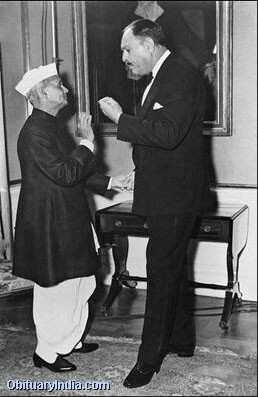 When Govind Vallabh Pant became the Chief Minister of Uttar Pradesh, he appointed Lal Bahadur Shastri as his Parliamentary Secretary. In 1947, Lal Bahadur Shastri became the Minister of Police and Transport in Pant's Cabinet. 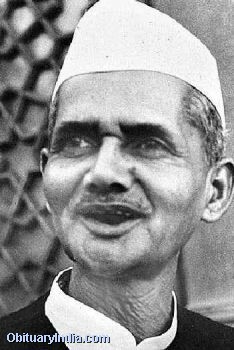 Lal Bahadur Sastri was the General Secretary of the Congress Party when the first general elections were held after India became Republic. Congress Party returned to power with a huge majority. In 1952, Jawahar Lal Nehru appointed Lal Bahadur Shastri as the Railways and Transport Minister in the Central Cabinet. Lal Bahadur Shastri's contribution in providing more facilities to travelers in third class compartments cannot be forgotten. He reduced the vast disparity between the first class and third class in the Railways. Lal Bahadur Shastri resigned from Railways in 1956, owning moral responsibility for a railway accident. 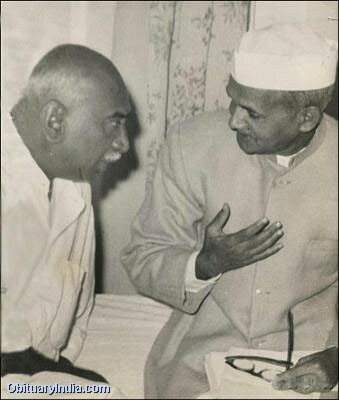 Jawaharlal Nehru tried to persuade Shastriji but Lal Bahadur Shastri refused to budge from his stand. By his action Lal Bahadur Shastri set new standards of morality in public life. 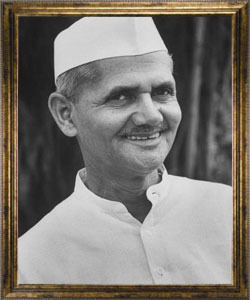 In the next general elections when Congress returned to power, Lal Bahadur Shastri became the Minister for Transport and Communications and later the Minister for Commerce and Industry. He became the Home Minister in 1961, after the death of Govind Vallabh Pant. 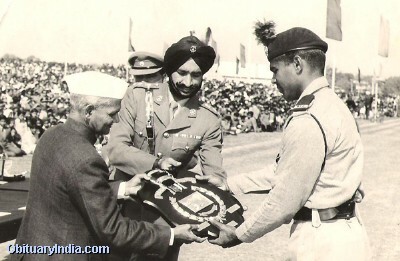 In the 1962 India-China war Shastriji played a key role in maintaining internal security of the country. 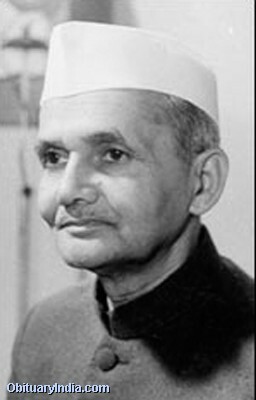 After the death of Jawaharlal Nehru in 1964, Lal Bahadur Shastri was unanimously elected as the Prime Minister of India. It was a difficult time and the country was facing huge challenges. There was food shortage in the country and on the security front Pakistan was creating problems. In 1965, Pakistan tried to take advantage of India's vulnerability and attacked India. Mild-mannered Lal Bahadur Shastri rose to the occasion and led the country ably. To encourage soldiers and farmers he coined the slogan of 'Jai Jawan, Jai Kisan'. 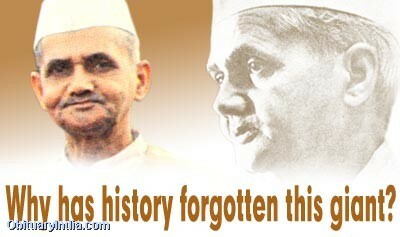 Pakistan lost the war and Shastriji's leadership was praised all over the world. The problem for Shastri's administration was Pakistan. Laying claim to half of the Kutch peninsula, Pakistan sent incursion forces in August 1965, which skirmished with Indian tank divisions. Under a scheme proposed by the British PM, Pakistan obtained 10%, in place of their original claim of 50% of the territory. But Pakistan's aggressive intentions were also focused on Kashmir. When armed infiltrators from Pakistan began entering the State of Jammu and Kashmir, Shastri made it clear to Pakistan that force would be met with force. Just in September 1965, major incursions of militants and Pakistani soldiers began, hoping not only to break-down the government but incite a sympathetic revolt. The revolt did not happen, and India sent its forces across the Ceasefire Line (now Line of Control) and threatened Pakistan by crossing the International Border near Lahore as war broke out on a general scale. Massive tank battles occurred in the Punjab, and while Pakistani forces made some gains, Indian forces captured the key post at Haji Pir, in Kashmir, and brought the Pakistani city of Lahore under artillery and mortar fire. On 17 September 1965, while the Indo-Pak war was on, India received a letter from China. In the letter, China alleged that the Indian army had set up army equipment in Chinese territory, and India would face China's wrath, unless the equipment was pulled down. In spite of the threat of aggression from China, Shastri declared 'China's allegation is untrue. If China attacks India it is our firm resolves to fight for our freedom. The might of China will not deter us from defending our territorial integrity.' The Chinese did not respond, but the Indo-Pak war resulted in great personnel and material casualties for both Pakistan and India. The Indo-Pak war ended on 23 September 1965 with a United Nations-mandated ceasefire. In a broadcast to the nation on the day of ceasefire, Shastri stated. In January 1966, to ensure peace between India and Pakistan, Russia mediated a meeting between Lal Bahadur Shastri and Ayub Khan in Tashkent, Russia. India and Pakistan signed the joint declaration under Russian mediation. Under the treaty India agreed to return to Pakistan all the territories occupied by it during the war. 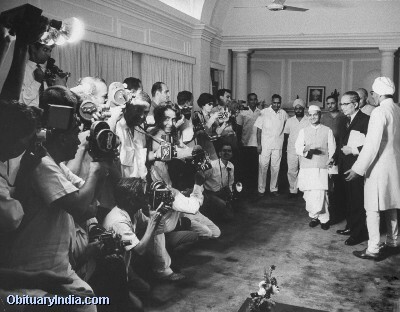 The joint declaration was signed on January 10, 1966 and Lal Bahadur Shastri died of heart attack on the same night. He was the only Indian Prime Minister, and indeed probably one of the few heads of government, to have died in office overseas. All his lifetime, Shastri was known for madness and comedian. He was the first person to be posthumously awarded the Bharat Ratna, and a memorial 'Vijay Ghat' was built for him in Delhi. Several educational institutes, Shastri National Academy of Administration (Mussorie) is after his name these were some examples. The Shastri Indo-Canadian Institute was named after Shastri due to his role in promoting scholarly activity between India and Canada. In 2005, the Government of India created a chair in his honour in the field of democracy and governance at Delhi University.